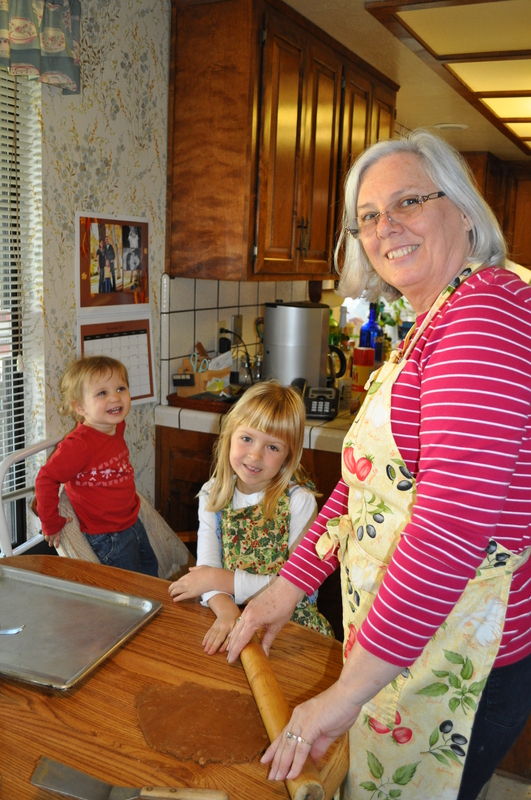 We recently returned from visiting my parents in California where we had a wonderful Thanksgiving. 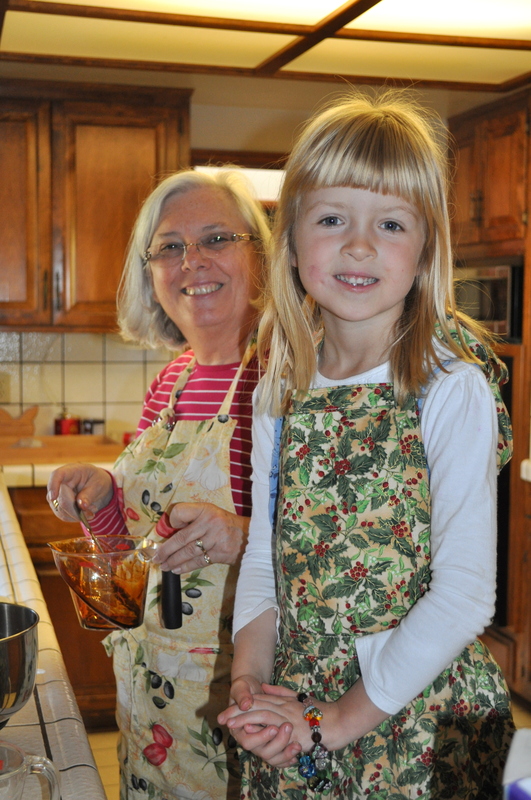 While we were there my mom decided Trinity could help her get a start on holiday baking. 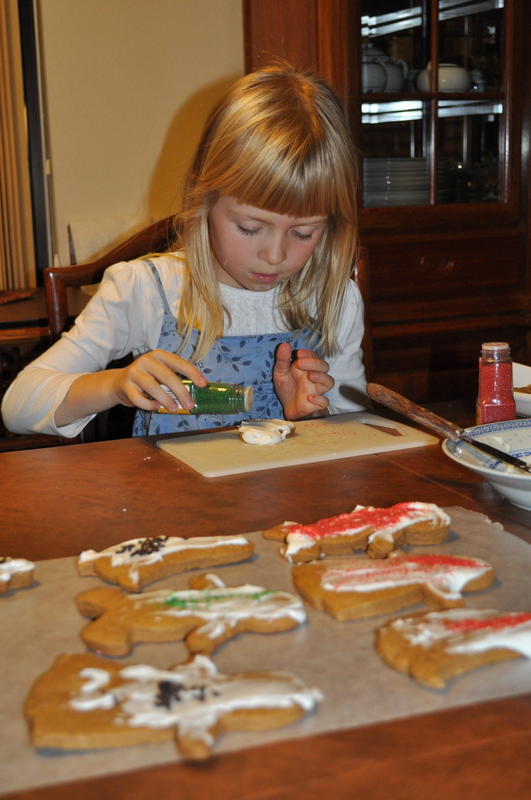 Gingerbread Men were chosen because of the added bonus of decorating the cookies. 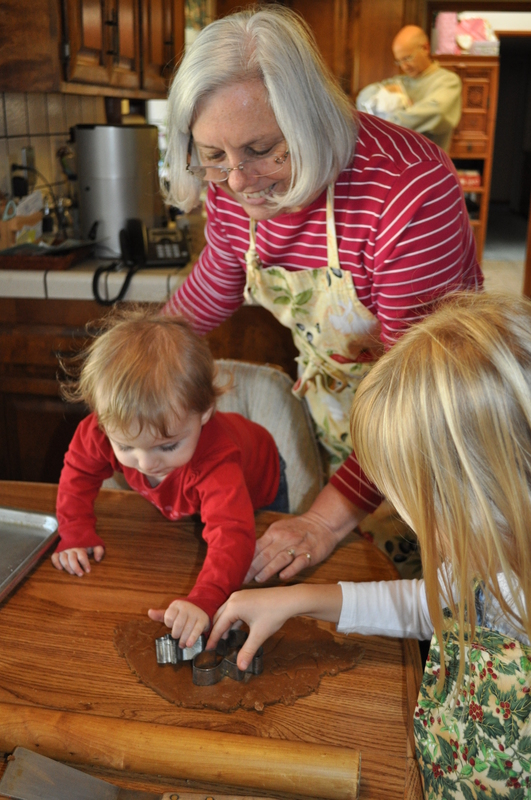 Trinity and Grammie worked hard all morning: Of course, Lilly wanted to get in on the action too! 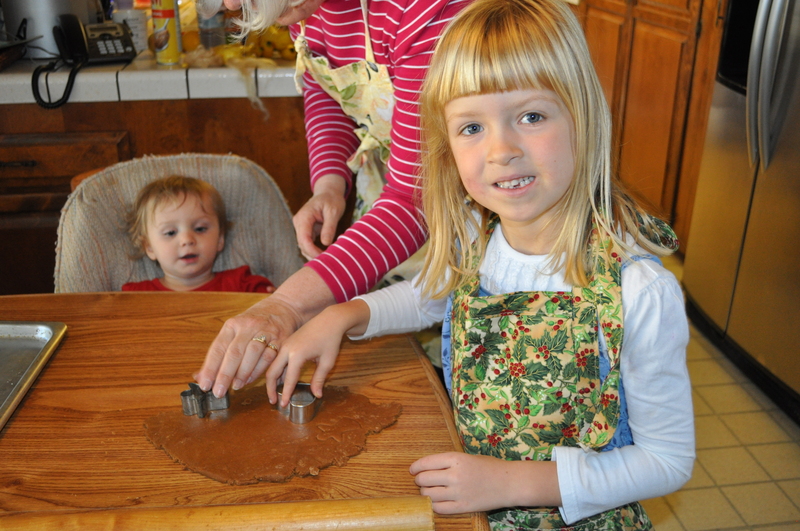 After several cookie sheets were filled with gingerbread boys and girls, and hearts, and geese, Trinity decided she wanted to make her own cookie shape. Gingerbread snakes! Every bit as appetizing as a gingerbread man? 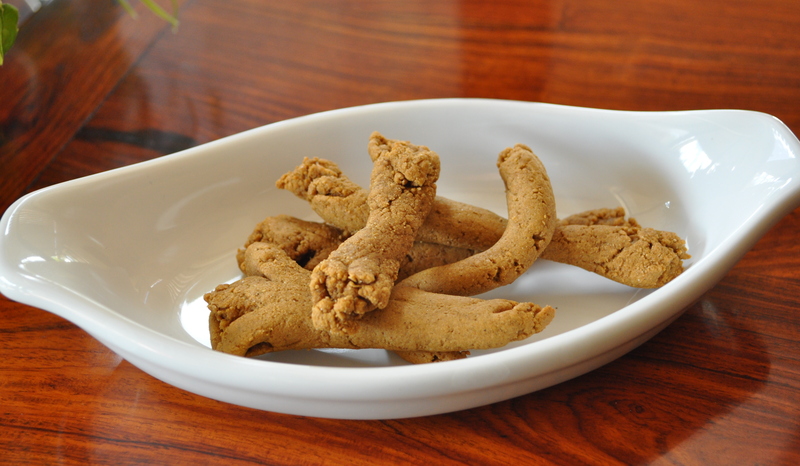 You be the judge: Don’t you want to set a dish of these out at your next Christmas party? OH I cannot stop laughing! 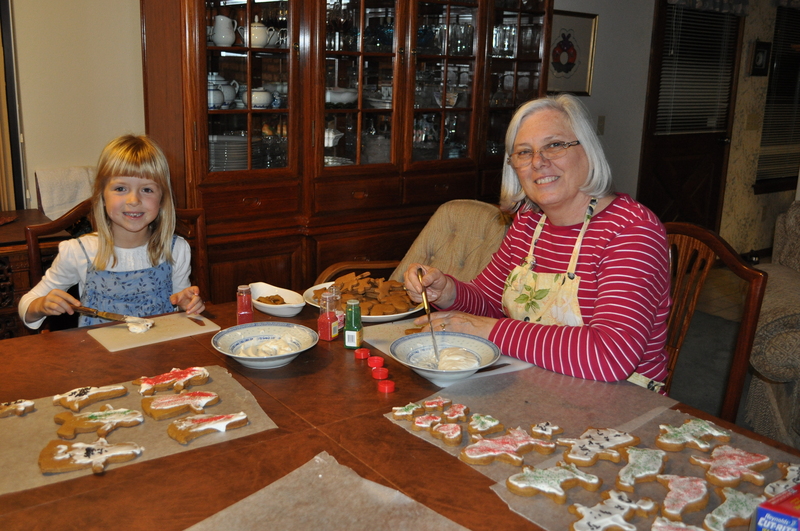 Gingerbread snakes… oh too much lol !! 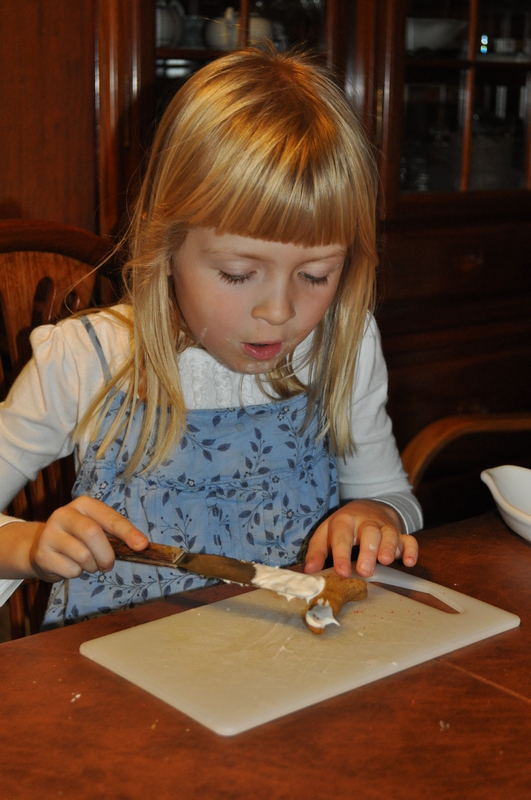 Trin was so PROUD of her gingerbread snakes! Of course she should take them home. And I’m guessing they will get eaten too. : ) I’m enjoying the boys, girls, hearts, and geese. I doubt they will survive until Christmas!